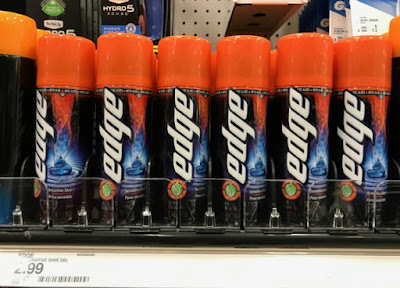 The Target Saver: Target: Caress Body Wash ( Love & Mystique) - As low as 74¢ ea. Target: Caress Body Wash ( Love & Mystique) - As low as 74¢ ea. 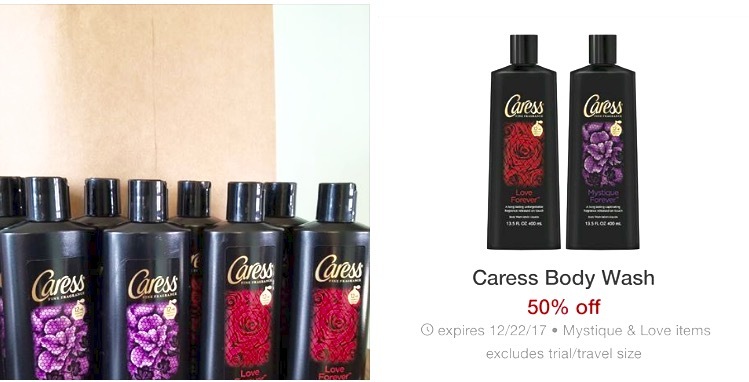 Here is another deal for just Caress Body Wash this week at Target. 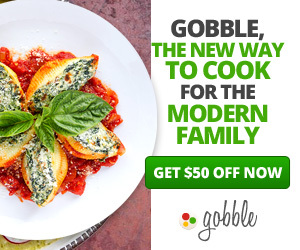 When you buy 4 you get a $5.00 gift card. The best part in they have two scents ( Love & Mystique) that there is a 50% Cartwheel for.The shelves are cleared at my local Target but hopefully you will be able to find them. 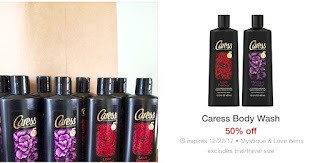 Buy 4 Caress Body Wash ( Love or Mystique Scents) - $3.99 ea. Go to Target Brickseek to check your local Target stores inventory- DCPI for Love 049-00-1736 or for Mystique 049-00-2571.